Yes, of course! 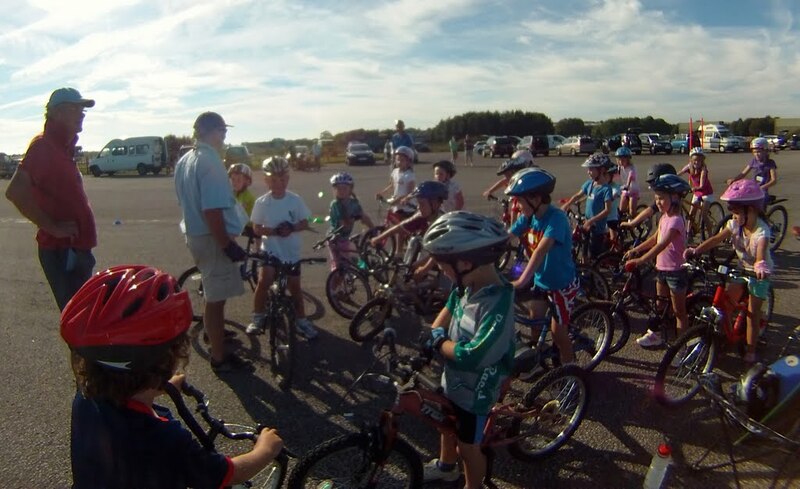 So that you can try the club before comitting to join we hold a New Rider Session at beginning of each school term for youth riders aged at least 6 years old. Dates are published on the Event Calendar and in our club Newsletter (link on the home page). To book onto a New Rider Session (there will be a £5 session fee), please email Dave and let him know you would like to attend the next New Rider Session. Book early as places are limited! It is very difficult to accommodate last minute requests as Thorney Island is a working MOD base and we need time to ensure your name is included on the Base access list. After attending the ‘New Rider Session’ a rider must become a club member before they attend again. Membership Subscriptions (currently £16 per year for Youth Riders) run on a calendar basis from 1st January and are renewed annually. Subscriptions taken out after 1st September will expire at the end of the following year (i.e include the remainder of the current year free). A smile You are going to have fun! Your Bike Any bike in good working order will enable you to join in and get involved. Helmet You must wear a well fitted cycle helmet which is in good condition. Please check these throughly before attending as nobody is allowed to ride without a well fitted helmet or a safe and fully working bicycle. Water & Food Plenty of water to drink and some riders like a snack to keep the energy levels up whilst riding. We will help riders understand how food impacts performance, growth and well being so we would ask that snacks reflect a balanced approach and include fresh or dried fruit. Unfortunately we are not a club aimed at teaching children to ride bikes i.e. progress from stabilisers or push along bikes. We are also not a club specifically teaching Bikeability. We are running a cycling club and not a child care facility! Please do not leave children unattended at any session. Every cyclist signs-in at the start of the session and must be collected by the adult who signed them in. Cycling is generally an outdoor sport and we are at the mercy of the weather. Given 'normal' weather we would anticipate continuing with sessions in rain or shine however circumstances may dictate from time to time that sessions are shortened or cancelled. Please ensure you are subscribed to our calendar, newsletter & twitter feed as these are the only communication channels we use for any late changes.